One of the most serious issues that the majority of Panorama City, CA property owners have to deal with is that of being able to find a reliable plumber when necessary. However, they need look no further because we provide 24 hour 7 day a week service to our clients at (323) 745-2839. Don’t hesitate to call us, regardless of whether a call out is deemed to be an emergency or not. Our team of plumbing technicians is on hand to ensure that any and all repairs, maintenance or installation of brand new fixtures is carried out according to current industry and safety standards. Properties that are older than 15 years will usually require some form of fixture replacement, especially where water heater units are concerned. Many property owners put this task off because they think it will be too expensive. However, if ignored, these units can leak or burst, resulting in severe property damage such as collapsed ceilings, damaged dry walling, rotting carpeting, ruined cabinets and closets and the development of black mold. All plumbing fixtures should be installed or repaired by suitably qualified technicians, as failure to do so could result in insurance claims being denied at a later stage. We only hire experts at our Panorama City plumbing company that are suitably qualified and licensed, which ensures that the job is always done correctly. Water leaks that are not detected early or that are ignored for months on end will not only result in increased water bills; they could cause an irreparable amount of structural damage over time as well. Our plumbers are able to detect even the smallest leak, regardless of where it may be situated. We even have the correct equipment on hand to detect the tiniest slab leaks, ensuring that these can be fixed as efficiently as possible as well. While our Panorama City plumber are on your property, they can perform a range of drain-related services as well, including leaning, unclogging and general maintenance. Plumbing emergencies never happen at the right time so to speak, which is why we provide our clients with an emergency call out service that is affordable and reliable. This means that any plumbing emergency or routine maintenance job can be attended to at any time – even over holidays and weekends if need be. 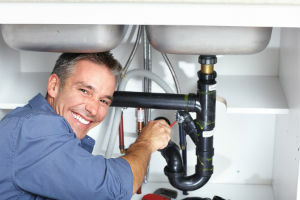 Our talented staff strives to provide top-rated emergency plumbing Panorama City residents choose for handling major issues concerning their home. 24 Hour Panorama City Plumbers | Schedule an Appointment Today!